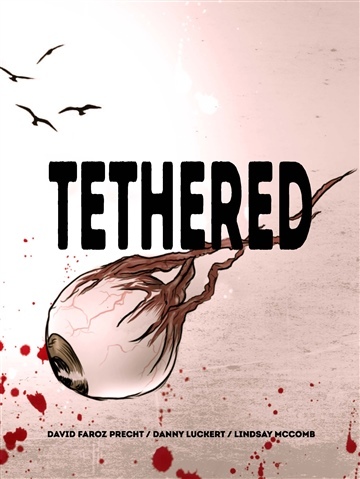 Tethered is an existentialist zombie original graphic novel created by writer David Faroz Precht and artist Danny Luckert with lettering and design by Lindsay McComb. David Faroz Precht is a Persian-American author living in Oakland with his designer wife. He is a brand and advertising freelance/contract copywriter by day. Precht loves baseball, absurdity, cooking, philosophy and sociology. Despite a similar name, he is not the German philosopher.